Mladá Boleslav/Paris, 1 October 2018 – ŠKODA CEO Bernhard Maier has been honoured today by the industry magazine Automotive News Europe’s ‘Eurostar 2018’ awards as ‘CEO of the Year’ in the ‘Automotive Industry’ category. 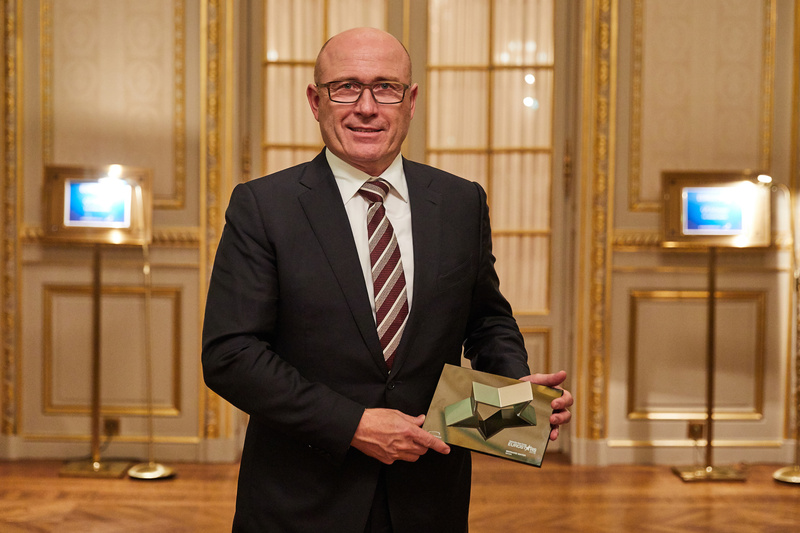 The award honours Bernhard Maier’s outstanding work at ŠKODA. Maier received the ‘Eurostar’ award for ‘CEO of the Year’ due to ŠKODA’s sustained positive development. The industry magazine acknowledged, in particular, the company’s growth trend in global sales and long-term strategic orientation. As part of Strategy 2025, ŠKODA is systematically pursuing its transformation from being purely a car manufacturer to a broad mobility service provider. The focus is on a model campaign in the SUV segment, the topics of electromobility and digital services as well as the development of new markets. Last year, ŠKODA AUTO achieved the most successful business year in its history. The Czech automaker set new records both in terms of global vehicle deliveries and financial results. Automotive News Europe also considers the brand’s most recent model campaign worthy of praise. The two successful SUV models KODIAQ and KAROQ made their debuts in 2017, followed in March 2018 by the first SUV specially designed for the Chinese market, the ŠKODA KAMIQ. 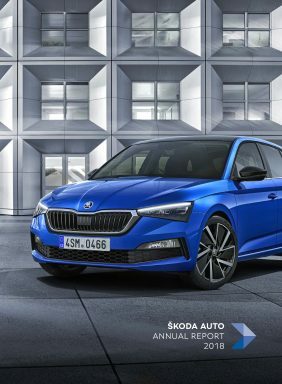 The fact that ŠKODA AUTO now also spearheads the further development of the Indian automotive market for the entire Volkswagen Group underscores how highly regarded the company is within the Group and the confidence the Group management has in the expertise of the entire ŠKODA team. Bernhard Maier is a qualified automobile technician and a graduate in business administration. After working for Nixdorf Computer AG, he took on various senior positions at BMW AG for domestic and foreign clients from 1988 to 2001. In 2001 Maier moved to Porsche as Board Chairman of Porsche Deutschland GmbH. From 2010 to 2015 Maier was Member of the Board of Directors for the Sales and Marketing Department of Ing. H. c. F. Porsche AG. Bernhard Maier has been CEO of ŠKODA AUTO a.s. since November 2015 and is pursuing the company’s reorientation as part of Strategy 2025. Maier was named ‘Brand Manager of the Year’ in 2017 by the German Design Council. He is also a Member of the Board of Directors of SAIC VOLKSWAGEN Automobile Co. Ltd, as well as sitting on the ŠKODA AUTO University Advisory Board. Automotive News Europe is considered one of the world’s leading automotive magazines and has been published in Europe since 1996. The magazine has presented the ‘Eurostar’ awards every year since 1998. According to the panel of judges, the award honours “the best of the best” from all areas of the automotive industry. The ŠKODA CEO accepted the award at the ‘Eurostars’ gala on the eve of the Paris Motor Show where ŠKODA will be introducing the KODIAQ RS, the new trailblazer in the SUV segment. The brand is also presenting the VISION RS concept car that will provide a clear outlook of a new compact model from ŠKODA while demonstrating the evolution of the RS idea through modern hybrid technology.